Noble Dendrobium (Dendrobium nobile): growing, planting, caring. A pink-flowered orchid cultivated as a houseplant. 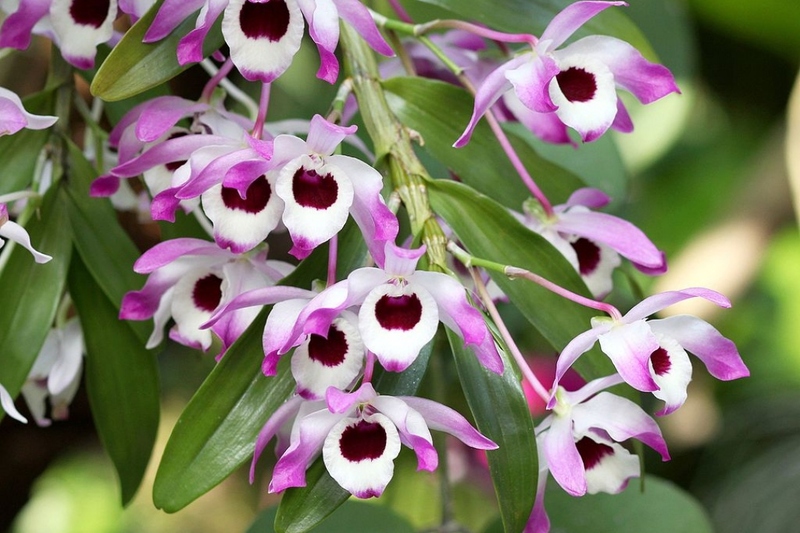 Dendrobium nobile is an epiphytic or lithophytic plant native to southern Asia, occuring in lowland and mountain forests, often on mossy limestone rocks, and one of the most widespread ornamental members of the orchid family. Its blooms are variegated in colour from white through pink and purple. It has strap-shaped, persistent leaves, and blooms mostly in winter and spring, producing short, 2 to 4 flowered racemes, fragrant, waxy, arising from the upper nodes of leafed and leafless canes. Dendrobium nobile is distinguished from other orchids by its thick stems, that bear leaves along each node. They form in the spring "keikis", which are young seedlings growing on the upper nodes. The flowers are 3-6 cm long, and are pale pink, darker at the edges. Of course there are cultivars of different colors. In September-October, take out a few months your bamboo orchid, so that it feels a few cool nights. Place it in semi shade and sheltered from the rain. 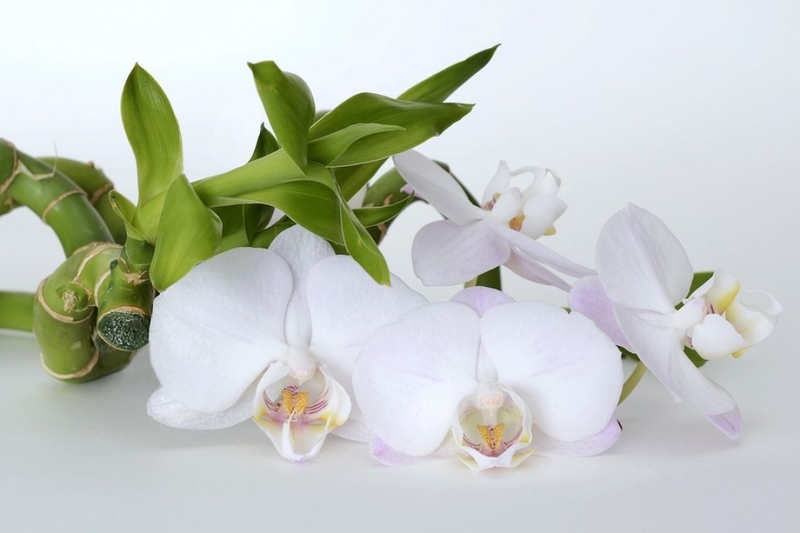 Bring your bamboo orchid inside during the month of October. Take the keikis that form on the upper nodes in the spring. Easy to recognize, they form aerial roots and look like mini plants. Wait until their roots are about ten centimeters. Dip them in non-calcareous water, then repot them in a mixture of pine bark.